Things happen in life that are not always positive. Let’s face it. Not everything always goes to plan and there are just some things that are either a complete accident, or you have no control over. Homes and commercial properties get damaged all the time from water, fire, smoke damage, reckless employees and other unfortunate mishaps. So whether you are looking for residential painters or commercial painters for your insurance repairs, Doctor Paint is the man to call. With over 30 years’ experience in the painting field, I am one of the most reliable and efficient painters Brisbane has to offer. I can resurrect your damaged property in no time, with a craftsmanship only quality painters can offer. I am not just another tradie, and I certainly don’t carry the tradie reputation of not turning up for jobs, not calling if I’m late, or doing any shoddy workmanship. I take pride in all the work I do, and that includes any and all insurance repairs. My business thrives on word of mouth referrals, so when anyone thinks of painters, I want them to think of me first and foremost. It doesn’t happen all the time, but areas in and around Brisbane can be prone to flooding. And whether it’s just some minor damage or more serious, it’s good to know that your insurance company has got your back and that you can call on a quality painter to bring your premises back to life. Specialist insurance repair painters like DR Paint are the people you want on the job. Something else that happens on a regular basis in the Brisbane region are house fires. Not every house fire is a major catastrophe, however. Many are small hiccups where a room or two suffers some minor damage either from the flames, or even just the smoke. 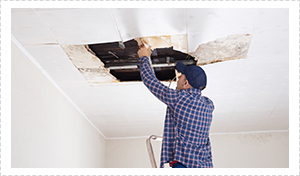 In any case, insurance repairs will be called for to get the damage fixed. In a commercial situation damage can occur to the premises – whether it is an industrial building, a factory or an office or shop – just from the day to day running of the business. Vehicles and equipment can bump into walls, a forklift might back into the boss’s office (accidentally of course), something could catch on fire, or your commercial premises may suffer some water damage. The latter can definitely happen in an office situation, if somehow the building’s fire-protection sprinkler system is triggered. 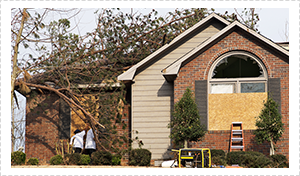 These are all situations where quality insurance repairs are called for. When the damaged or broken wall has been repaired, DR Paint will finish it off with a quality paint job. It will look so good you will never know the area had ever been damaged. Whether it’s a home, and apartment, your office, a factory or an industrial site, if it’s damaged and an emergency, the Doctor will be there in no time at all to bring it back to life. So when insurance repairs are called for, you know who to call DR Paint!